Take a test drive and and win volkswagen Ameo every week* Go ahead, pinch your self. 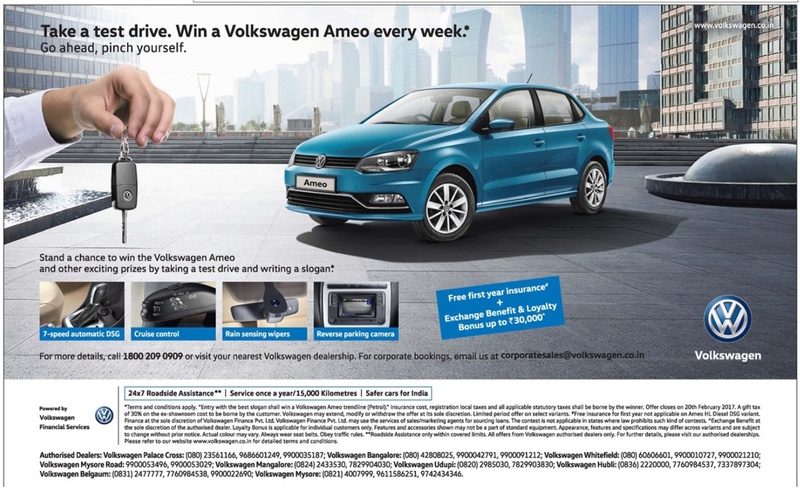 Stand a chance to win the Volkswagen Ameo and other exciting prizes by taking a test drive and writing a slogan. Free first year insurance* + Exchange benefits & Loyalty bonus up to Rs 30,000.